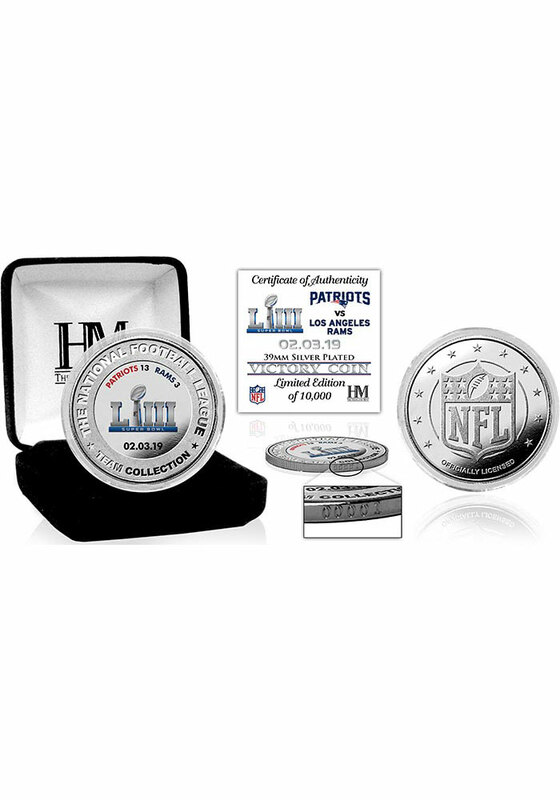 This New England Patriots Super Bowl LIII Victory Silver Coin Collectible is a fantastic addition to your Patriots collection. These Coin feature a Super Bowl 53 logo, the game date, Los Angeles Rams and New England Patriots logo, and the official NFL logo on the other side. Each coin is individually numbered and is accompanied by a certificate of authenticity.